The Hot Dog Truck: The New Jersey Hot Dog Tour! The New Jersey Hot Dog Tour! Well, summer is almost over, but there are still hot dog joints to visit and more hot dogs to eat! On September 22, 2012 I am taking the Hot Dog Stories show on the road to the 9th Annual New Jersey Hot Dog Tour! 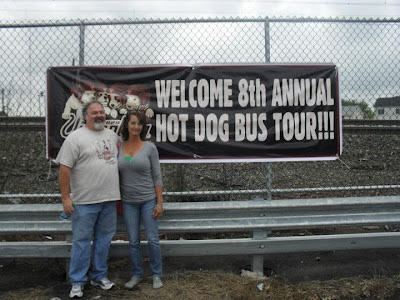 Each September, tour organizers John Fox and "Benzee" rent out a bus (this year there will be two) and drive around to different popular hot dog joints in Jersey. There are 9 or 10 stops along the way and some old school icons will be featured. 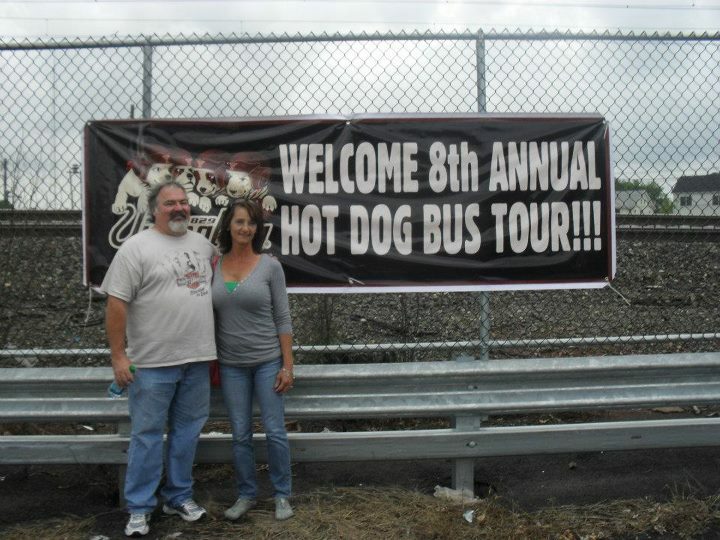 Here's a photo from the Hot Dog Nation Facebook Page of last year's big sign announcing the tour. 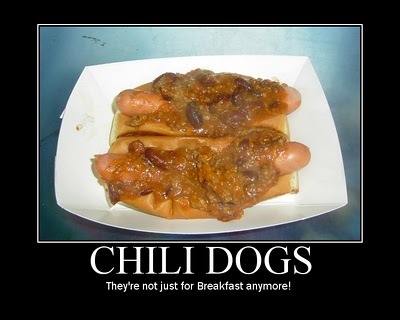 On a very cool note, somewhere in New Jersey, I will visit my 100th hot dog joint. I will be bringing some goodies for tour attendees and I hope to have something special for stop # 100. Of course, the video cameras will be accompanying me. It should be a busload of hot doggin' fun.